This PDF 1.4 document has been generated by Adobe InDesign CS2 (4.0.2) / Adobe PDF Library 7.0, and has been sent on pdf-archive.com on 25/04/2013 at 08:26, from IP address 210.184.x.x. The current document download page has been viewed 744 times. Flash (A) with film cameras. photography as easy to use as a single on-camera Speedlight. delivers outstanding results as well as new creative possibilities. exposure of the subject while zooming or changing composition. 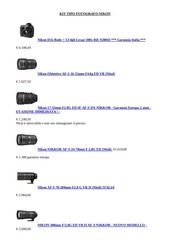 SLR and F6 35mm SLR cameras. light output according to distance and aperture set. (AA)-size battery for shorter recycling time between flashes. Electronic Construction Automatic Insulated Gate Bipolar Transistor (IGBT) and series circuitry. used with the SB-800 sold in European countries. This file has been shared by a user of PDF Archive. Document ID: 00101844.